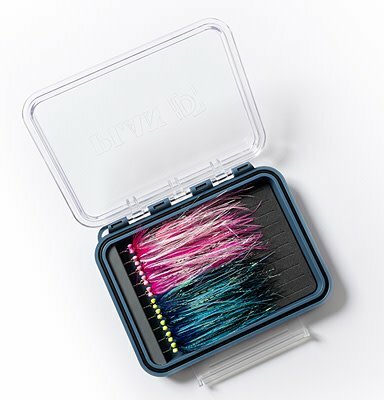 The perfect pocket size fly box for all your articulated goodness! We love this! Articulated flies are never easy to keep organized, and who wants to bring a giant streamer box with them every time they fish? Plan D came up with some nifty boxes to help! Small enough to put in a pocket, this box has a row of 10 hooks to make putting away and bringing your articulated streamers easy. Just slide the eye of the fly onto the hook and insert the bottom hook into the foam. -Has loop for lanyard attachment.